Arachnophobia. The "irrational" fear of spiders. Irrational, pffft. They are freaky. Their long hairy legs and the weird pincers things by their mouth. And, what is with the way they make webs? From their butts! It's all just a little weird. And creepy. With that in mind, it's no stretch of the imagination why people choose to decorate with the eight legged creepy crawlies. Fake webbing strung up on the staircase with little plastic spiders strewn about it. 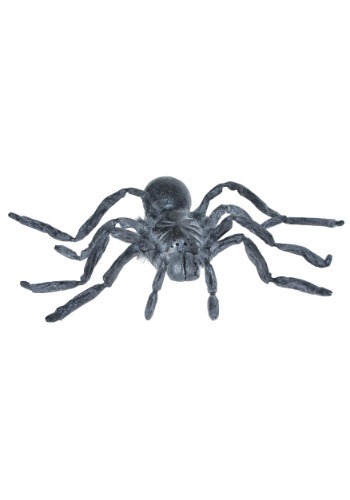 If you really want to make someone squirm however, try this 42" Gray Spider. It's large size will intimidate even those that claim they are do not have arachnophobia. Hide it behind a door, or put it above the toilet, hang it from a tree outside, or just set it on the floor. Be prepared for loud screams and the nightmares that will surely follow.